Nearly all fossils are stripped of their original colour. But as a new study from Irish palaeontologists shows, that doesn't necessarily mean the colours aren't still there. You just have to know where to look. Normally, fossils are devoid of any colour, forcing palaeontologists to make educated guesses about their specimen's actual appearance. In some rare cases, melanin (a pigment that gives colour to skin) manages to retain its organic nature over long timescales, revealing dull pigments of browns, blacks and muddy reds. 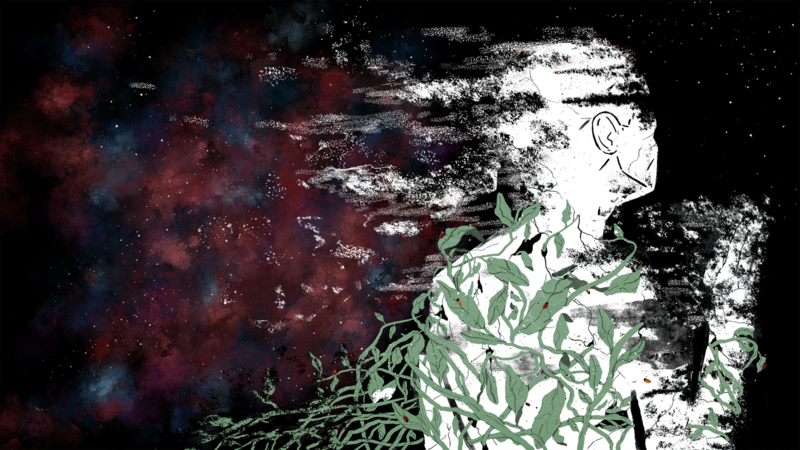 No other pigments are able to survive fossilisation. But where there's a will, there's a way. Palaeontologists from the University College Cork in Ireland analysed a 10 million-year-old snake fossil found preserved in calcium phosphate. They found that the colours of the long-extinct snake could still be gleaned even when the actual colours aren't there any more. This latest study now appears in Current Biology. 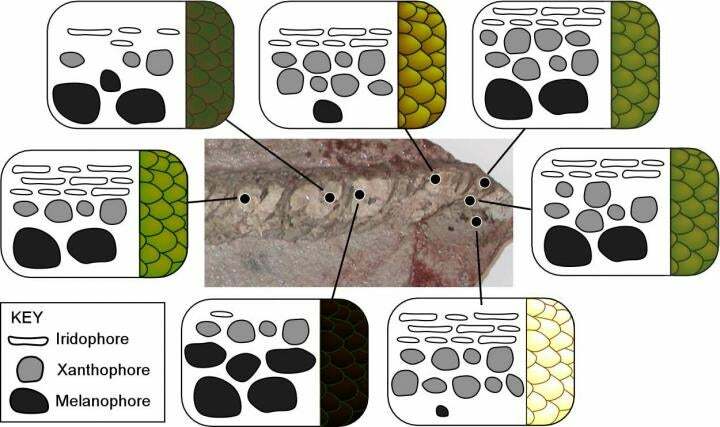 The researchers mapped the location and shape of each pigment cell on the snakeskin fossil. Depending on the specific shape of the pigment cell, they were able to derive certain colours, including yellows, greens, blacks, brown and even iridescence. To be clear, the pigments are long gone, but the cell shapes — which are specific to each type of pigment — still retain enough information to reconstruct the former colours. "For the first time, we're seeing that mineralized tissues can preserve evidence of colour," lead researcher Maria McNamara said in a statement. According to McNamara's analysis, the 10 million-year-old snake, a member of the Colubridae family, featured three types of pigment cells in various combinations. Its skin contained melanophores, xanthophores and iridophores. 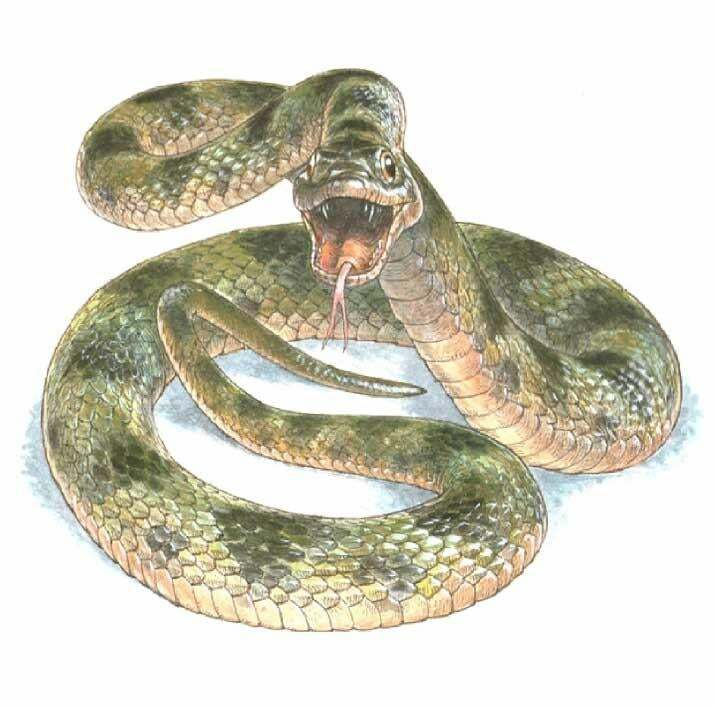 Translated to colour, this means the snake was a mottled green and black, with a pale underside. The scientists suspect that this particular colour scheme allowed the snake to camouflage itself during daytime. This study suggests that other similar fossils may yield similar clues. As McNamara said, "It will mean re-evaluating a lot of specimens that might have been overlooked."